or a game in a professional title match. and locations. Date and tournament information is published on our Events Calendar. We also publish here a list of all our current tournaments. Current Title Holders, which links to a listing of all past winners. The top players in each event compete for points in the Stacey Grand Prix, Double Digit Kyu players (10 kyu and weaker) in their own DDK Grand Prix. and junior players in their own Junior Grand Prix. If you're thinking of entering your very first face-to-face tournament then we have some advice for you. If you'd like to organise you own tournament then visit our Organisers Material page (some information may be for members only). team and Grand Prix winners. We run the British Go Association League Tournament as an online tournament. 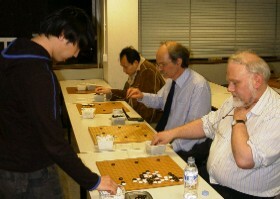 We also field a UK team in the Pandanet Go European Team Championship run by the European Go Federation. We also run a number of teaching sessions online. 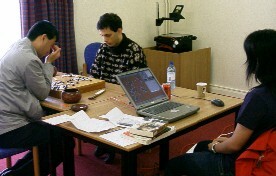 British Open Team, Online League and Stacey Grand Prix. 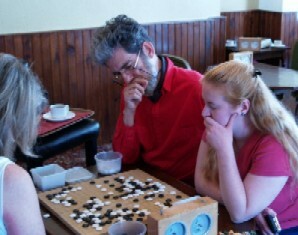 a unique and highly social event held within the spirit of Pair Go. and the UK GO Challenge for schools. From time to time we get Oriental professional players visiting the UK. They perform teaching at a tournament or at a variety of clubs. Sometimes these visits are part of a top professional title game. Amateur Pair Go Championship, and also for some top European events. 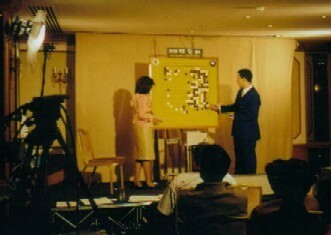 of 18 players to take part. 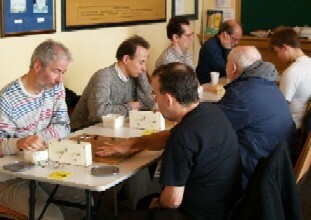 The 2nd WMSG was held in Lille in 2012, with a UK team of 17 players. and the 2002 Kisei Title Match game.